Of all of the behaviours a person might adopt to help them with weight management, perhaps none is more powerful than keeping a food diary. Unfortunately, to date, food diaries have proven themselves to be both misunderstood and misused. Here then are the top 10 whys and hows of keeping one and staying sane. 1. Food diaries are about guidance, not judgment. A food diary isn’t meant to tell you if you’re been good or bad, what foods you’re allowed, or how much room is left for dinner. A food diary is there to help guide your next dietary decision, not to make it by providing you with the information you need to make your dietary decisions informed ones. 2. 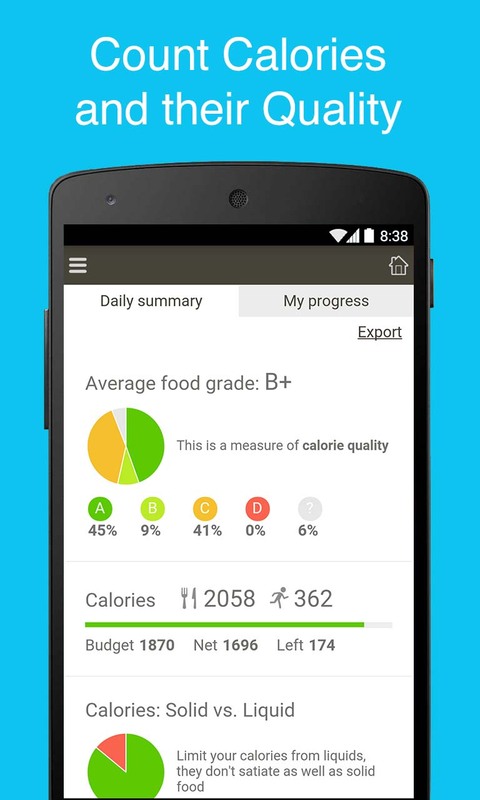 Food diaries offer protection against hidden calories. Calories aren’t intuitive. Meaning you can’t see them, smell them, or taste them. By tracking them you may discover that some meals or foods you love contain far more (and even sometimes less) calories than they’re worth which in turn might lead you to change their frequencies in your dietary rotation. 3. Food diaries burn more calories than exercise – sort of. It’s far easier to not eat calories than it is to burn them. Figure it takes most people nearly an hour of vigorous exercise to burn 500 calories. Those same folks can likely find, trim and remove 500 daily calories from their diets by keeping a food diary – an effort that will take 5 minutes at most. 4. Food diaries will double your weight loss. Or perhaps even triple it if you’re great at it. Studies on food diarizing demonstrate that those who keep them lose twice as much as those who don’t. Of course those studies’ results lumped everyone together and it wouldn’t be at all surprising to learn those who kept the most complete and accurate food diaries lost even more comparative weight. 5. Food diaries must be complete to be useful, and the best way to ensure they are is to record your choices as you eat them. Studies on people trying to “recall” what they’ve had reveal that most of us forget – portions, choices or both – and yet none of us think we’ve forgotten anything (as that’s the very definition of forgetting). 6. Food diaries also must be accurate to be useful. The fact is, our eyes aren’t very good at weighing and measuring. Invest in some kitchen measures (spoons, cups, a digital scale) and use them, but remember that they’re there to tell you how much you decided to have, not how much you’re allowed. 7. Food diaries are great tools for investigation. If you’re trying to determine whether or not you have specific food intolerances , or why some days you’re ravenous and others not, using the note section in your tracker can allow you to identify dietary patterns and choices that in turn matter to your health, well-being and dietary control. 8. Food diaries can replace your frustrating scale. The fact is, a scale is also a food diary – just a bad one, as it not only tracks calorie balance, but also measures constipation, clothing, and water retention. At the end of the day, if you keep a careful food diary, and your calories are where you think they should be, you won’t need a scale to know how you’re doing. 9. Food diaries serve as a shield against “Mindless Eating” – the strange but true phenomenon that has been proven to lead people to put more food on larger plates, pour more cereal from bigger boxes, and eat more of a product with a healthy sounding claim or label. While a large plate or box might fool your eyes, they can’t fool your diary. 10. Food diaries are what make habits form in that every single time you use your food diary you’ll be reminding yourself of all of those things you’re trying to change, and repeated conscious reminders are the building materials required for the formation of new habits. This was a guest blog post by Yoni Freedhoff, MD, an assistant professor of family medicine at the University of Ottawa, where he’s the founder and medical director of the Bariatric Medical Institute—dedicated to non-surgical weight management since 2004. Dr. Freedhoff sounds off daily on his award-winning blog, Weighty Matters, and you can follow him on Twitter. Dr. Freedhoff’s latest book is The Diet Fix: Why Diets Fail and How to Make Yours Work.